Water-dependent businesses, such as international shipping companies, commercial fisheries, seafood processors, and charter boat operations, require infrastructure located on or adjacent to water to access the water. The working waterfronts necessary to support these industries, such as docks, loading facilities, or seafood processing plants, are often at risk of displacement by non-water-dependent uses, such as restaurants, hotels, or residential development. State and local governments can help preserve traditional working waterfronts by incorporating water-dependency definitions and requirements into laws, regulations, and policies. The federal Coastal Zone Management Act (CZMA) provides a framework for state management of the lands and waters of the nation’s coastal zone, including the Great Lakes. 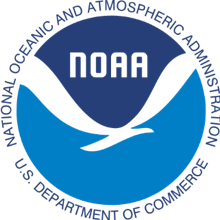 Nationally, the provisions of the CZMA are administered through NOAA’s Office for Coastal Management . Thirty-four states and territories have approved coastal management programs that are implemented through various state laws and regulations. The Maine Mandatory Shoreland Zoning Act encourages municipalities “to give preference, when appropriate, to functionally water-dependent uses.” To that end, several Maine municipalities have adopted water-dependent use definitions. For example, in Auburn “functionally dependent use” means “a use which cannot perform its intended purpose unless it is located or carried out in close proximity to water.” The term “functionally dependent use” includes only “docking facilities, port facilities that are necessary for the loading and unloading of cargo or passengers, and shipbuilding and ship repair facilities, but does not include long-term storage or related manufacturing facilities.” Auburn, Maine, Code of Ordinances § 60-892 . The North Carolina Coastal Area Management Act requires each of the 20 coastal counties to have a local land-use plan in accordance with guidelines established by the Coastal Resources Commission. State law requires counties to address Areas of Environmental Concern. The state guidelines for areas of environmental concern establish water-dependent use standards. Local governments have also addressed water-dependent use. For example, in Wilmington, development activities within the buffer zone are limited to water dependent structures. Examples of water dependent structures include “docks, piers, boat ramps, navigation markers, and access channels.” Wilmington, North Carolina, Code of Ordinances § 18-341(e)(3)(d). The Washington Shoreline Management Act establishes a planning program and regulatory permit system, which is implemented at the local level. In implementing shoreline programs, many cities have implemented a water-dependent use definition based on the state definition. For example, Seattle defines water dependent use as “a use which cannot exist in other than a waterfront location and is dependent on the water by reason of the intrinsic nature of its operations. The following uses, and similar uses, are included: Ferry and passenger terminals, marine construction and repair, aquaculture, cargo terminal for marine commerce or industry, boat launch facilities, marinas, floating home moorages, tour boats, cruise ships, tug and barge operations, shoreline recreation, moorage, yacht clubs, limnological or oceanographic research facilities.” Seattle, Washington, Code of Ordinances § 23.60.944 W.
For more information on how states and local governments may use water dependency definitions to provide greater protection of working waterfronts, see Working Waterfronts and the CZMA: Defining Water-dependent Use. Smythe, T. C. (2010). Can coastal management programs protect and promote water-dependent uses? Coastal Management, 38(6), 665-680.